October is National Plan a Cruise Month. 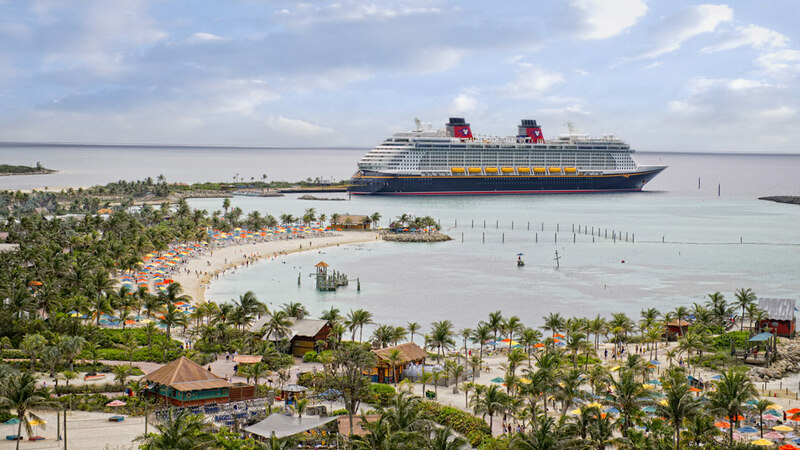 To celebrate, Disney Cruise Line has paired with CLIA – the Cruise Line International Association – to offer guests sailing on select cruises next spring a special onboard booking credit. To celebrate Choose Cruise during the month of October, Guests booking through a CLIA member agency (like Perfect Story Travel) can enjoy a $100 onboard credit per stateroom on 7-night Caribbean cruises departing from Port Canaveral, Florida in April or May 2019 aboard Disney Fantasy. Agency must be a CLIA member agency to book this offer – Perfect Story Travel is a CLIA member agency. Valid for new bookings made October 1 – 31, 2018 only. This Disney Cruise Line onboard credit offer does not exclude popular Easter or Spring Break cruises. Easter is April 21, 2019, so this credit may offset some of the costs of these more expensive sailings. Easter Activities on Disney Cruise Line: Disney offers several secular and religious celebration opportunities for the Easter and Passover season. Submit your quote request here. If your cruise meets the requirements for this offer, and it is booked by the end of the promotion period, you will receive your credit once you board the ship. What can I use my stateroom credits for? Stateroom credits are like a cash bank that can be used toward onboard merchandise, food and beverage purchases. They can also be used to pay crew member gratuities or for Port Adventures booked directly with Disney Cruise Line.